Enya's Orinoco Flow and Bach's Air on a G string; the disc also includes a track penned by Brian Wilson called 'Love and Mercy'. This is the song Libera performed to a star-studded audience in Washington DC before Christmas at the Kennedy Centre Honours, an audience which included President Bush, Robert De Niro, Cameron Diaz and Brian Wilson himself. The talented singers of Libera come from a variety of different schools and backgrounds in London and join together at a church in South London where they rehearse and perform for many hours each week. The youngest is seven and the oldest members are fourteen. Alongside their unique Libera music, the boy singers enjoy a wide repertoire from classical and cathedral pieces to works for pop and media productions. In recent years they have sung on films like 'Romeo & Juliet' and 'Hannibal' and with singers like Bjork, Elton John & Pavarotti. 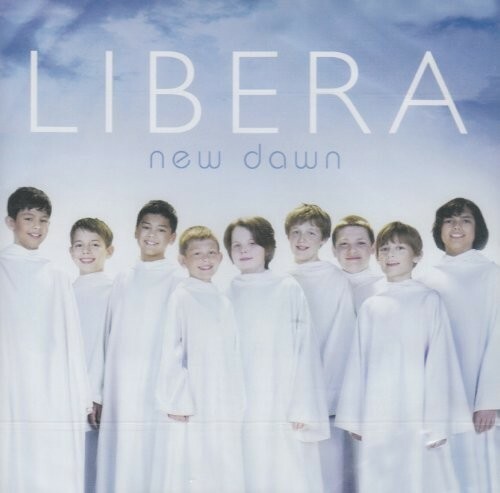 Libera is directed by Robert Prizeman, the well respected musical advisor to the BBC religious TV programme Songs of Praise. Robert arranges, if not writes all of the music that Libera perform. Sales of Libera's albums worldwide are now over 300,000 and the boys have a strong following of fans.